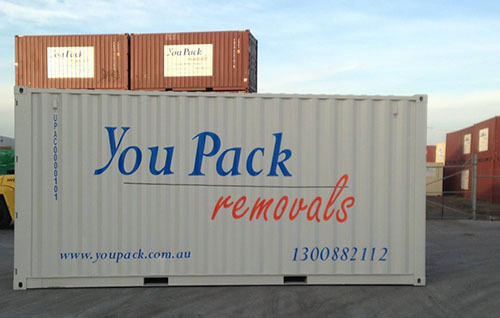 Customized containers | Container Conversions ""
You Pack Removals™ are Australia’s choice for the hire, sale & modification of shipping containers. New, refurbished or modified, You Pack Removals™ has a solution for every one of your needs from interstate removal through to portable offices. Shipping containers spend much of their time in traffic, thus visible to thousands of eyes, so businesses are choosing to maximize this time to market their product. You Pack Removals™ has helped many businesses customize shipping containers that are then used to transport goods around the world. Most recently, You pack Removals™ personalized a shipping containers for Cycling Australia to transport the bicycles of Australia’s top riders as they compete in prestigious events around Australia. You Pack Removals™ has recognized the importance of giving back to the community and we are proud of our collaboration with the Starlight Children’s Foundation. In 2012, we created a purple Starlight Children’s Container that travels across Australia, with 100% of each move going directly to the Foundation. Read more about the collaboration here. You Pack Removals™ pride ourselves on delivering containers where and when needed at a cost effective price. We also offer long and short-term storage options within numerous secured and safe locations Australia wide. So for all of your shipping container and moving containers needs, please contact a You Pack Removals™ container specialist today.